Mary and I live in New Smyrna Beach Florida, an area that has just been visited by Hurricane Charley. Although the hurricane came across the entire state of Florida, it lost little of it’s force and had a devastating effect on our area. Trees and downed power lines everywhere. A nearby town, eight miles south of us, had twenty homes that were totally destroyed. We lost three magnificent pin oaks and half the shingles on our roof, but thank God we weren’t injured and we still have our home. We are writing this article because we know many of our readers have booked a cruise or are considering booking a cruise during this hurricane season, and are apprehensive and concerned that they might be at sea during a full-blown hurricane. Mary and I felt the same concerns when we were booked on the Norwegian Sun, September 2002, and learned that Hurricane Lili was barreling through the Caribbean in the direct path of our itinerary. We had always wondered what a Captain does when his ship is in the path of a hurricane and now we were about to find out. Needless to say, everyone was on edge, not knowing what to expect. The evening of the first night, Captain Vorren made an announcement that we were not to worry, because he would keep us informed of the position of Lili and what he would be doing to stay clear of it. Every morning and at various times during the day, Captain Vorren made announcements from the bridge. He gave a very concise and thorough report telling us the strength of the storm, where it was, and what he was doing to avoid it. The captain did an excellent job of putting everyone at ease and alleviating their fears. Being Lili was in our direct path, the Captain made a decision to circumvent the area of the storm, by going on the other side of Cuba, then steering a course for the Eastern Caribbean, a complete reversal of our itinerary. We never experienced any heavy seas during our entire cruise. In fact, the waves never reached a height of more than two or three feet. After making our ports on the eastern itinerary, Captain Vorren again reversed course, so we made our Western itinerary ports. Not only did we avoid Hurricane Lili, we made every one of our ports as we dodged and at times out ran Hurricane Lili. Don’t Be Afraid of Cruising During Hurricane Season. For the last seven years Mary and I have booked one or two cruises during the hurricane season, and we have booked another for this year. We are sailing on the new Caribbean Princess on September 4th. If you book a cruise during June through October, and there is a threat of a hurricane, be assured your safety is the number one concern of the captains of these magnificent floating resorts. They are prepared to divert from their intended course and choose a route that will assure you a safe journey. That plus the fact they have the awesome responsibility of taking care of the cruise lines half billion dollar vessel under their command. We hope these facts have alleviated most of your concerns about cruising during the hurricane season. For our readers who are concerned about getting seasick, here’s a Remedy For Seasickness: Something a great many people fear is getting SEASICK. Well the best advice we can give you is to ask their family doctor for a prescription for [Transderm-SC 1.5mg Dis Nova]. This is medicine which prevents nausea and vomiting associated with motion sickness. It is a small patch that you place behind your ear. The patch is good for three days, then you replace it with another. It will stay on even when you shower. Place the patch behind one ear, the morning of the sailing. This gives the medication a chance to start working. Also when you have to change the patch, do it first thing in the morning. Believe me, it works. 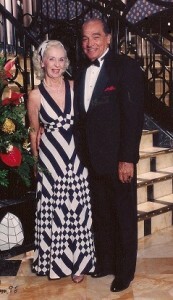 Tom & Mary are our great cruising friends, who inspire us in our daily life. If you’d like to receive a daily inspirational email from Tom and Mary, just send them an email asking to be added to their distribution list.